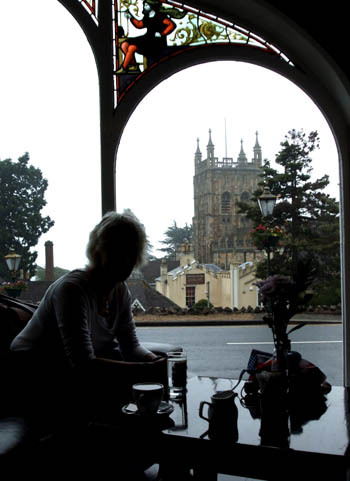 After a hectic morning on the Malvern Hills, or out and about in the town of Great Malvern, what better way to spend an hour or so than relaxing in the historic surroundings of the Malvern Tea Rooms at the Mount Pleasant? Mount Pleasant is a family run hotel in an elegant, late-Georgian building in central Malvern, overlooking the late-11th century Priory Church and with stunning views eastwards across the Severn Valley to the Cotswolds. Westwards, there is direct access from Mount Pleasant on to the beautiful Malvern Hills. 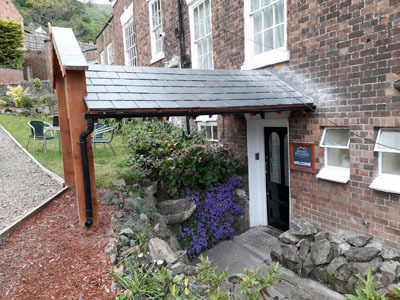 The hotel offers a bar and restaurant, plus a restaurant available for private hire, and there are also three rooms available for meetings, conferences and functions. 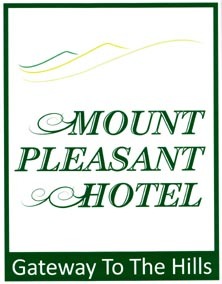 The Mount Pleasant Hotel has significant historic interest. The Foley Fountain is in the side gardens. Originally at St Ann's Well. This fountain dates back to the early 19th century. It was later replaced and the original basin became a garden ornament. It has been repaired on numerous occasions. For more information and early pictures go to Foley Fountain (site 122) on the springs and wells database on this web site by clicking the top heading box. Another claim to fame is that it was the location for the reception held for Wendy Hiller when she came to Malvern. She had played the star role in George Bernard Shaw's movie Pygmalion before the war. In 1956 she came to Malvern to unveil a plaque on the Mulberry Tree in Priory Park, originally planted by Shaw on his 80th birthday. The picture above is Wendy Hiller in a Midland TV News release at the time in the garden of the Mount Pleasant Hotel.